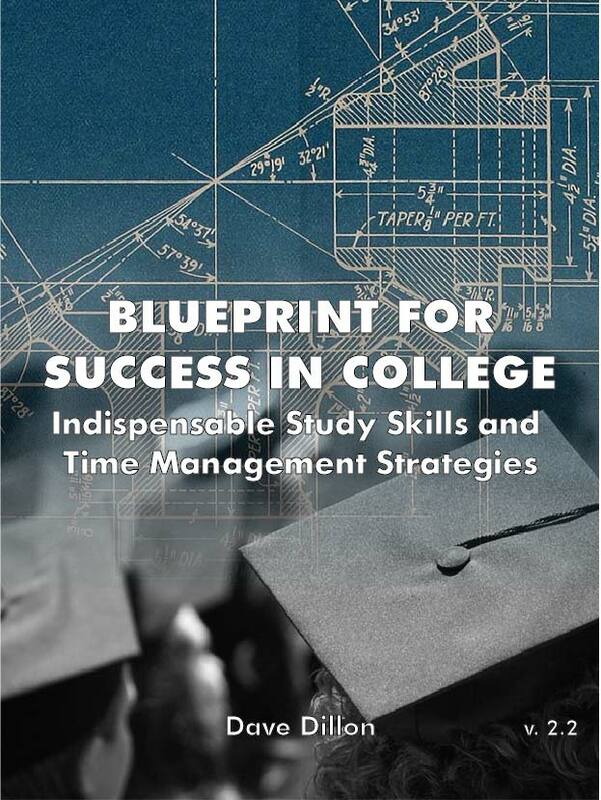 Book Description: A free, Open Educational Resource, Blueprint for Success in College: Indispensable Study Skills and Time Management Strategies is a students' guide for classroom success. This text, designed to show how to be successful in college focuses on study skills and time management. Blueprint for Success in College: Indispensable Study Skills and Time Management Strategies is a remix of four previously existing OER (Open Educational Resources): A Different Road To College: A Guide For Transitioning To College For Non-traditional Students by Alise Lamoreaux, How to Learn Like a Pro! by Phyllis Nissila, Foundations of Academic Success: Words of Wisdom, edited by Thomas Priester, College Success, provided by Lumen Learning, and one previously copyrighted textbook with content that is now openly licensed: Blueprint for Success in College: Indispensable Study Skills and Time Management Strategies by Dave Dillon (Montezuma Publishing, first edition). A free OER, (Open Educational Resource), Blueprint for Success in College: Indispensable Study Skills and Time Management Strategies is a students’ guide for classroom success and efficient use of time. This text, designed to show how to be successful in college focuses on study skills, time management.